Aldwyn Roberts, better known by the stage name Lord Kitchener (or "Kitch"), was one of the most internationally famous calypsonians. He was the son of a blacksmith, Stephen, and homemaker, Albertha. Lord Kitchener was the calypso name of Trinidad native Aldwyn Roberts. 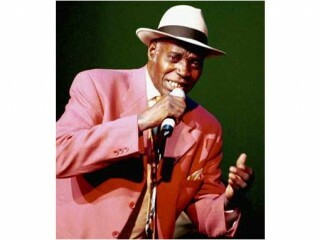 Kitchener was also known as the Grandmaster of Calypso and the Road March King. Freewheeling and lighthearted, the singer and composer emoted his vitality through a vast repertoire of songs, largely in celebration of life in the Caribbean islands. After moving to Britain for some years following World War II, Kitchener perpetuated the everyday sentiments of life through his music and memorialized his experiences as a Caribbean native transplanted to England. Throughout his sojourn abroad, he continued to send his songs home to Trinidad, where his many fans received them eagerly as mementos from their idol. Upon his return to Trinidad in 1963, he received a hero's welcome and continued to inspire his fellow countrymen with the brusque tone and sometimes gruff wit that characterized his songs, more than 1,000 in all, most of them about the sights and sounds of his everyday life. Throughout his lifetime and even after his death in 2000 at age 77, Kitchener was highly esteemed by his fellow countrymen and by the calypso community worldwide. Kitchener was born Aldwyn Roberts, in Arima, Trinidad on April 18, 1922. He was one of six siblings, the offspring of a blacksmith. After attending school, Kitchener entered his father's trade, but rapidly lost interest in smithing. Instead Kitchener, who had been writing songs since the age of five, began singing nickel sessions in the bamboo tents of his hometown at age 16. The carnival celebrations and calypso tradition were rooted deeply into the the culture of the Caribbean, and the tent venues comprised an integral part of the Trinidad carnival scene. Whenever the teenager performed, audiences were highly receptive to his smooth and easy voice. His effortless singing style was in fact uncanny, given that he suffered from a severe speech impediment as a child and never was able to overcome the debility altogether. Remarkably, the deficiency never surfaced in his singing, and he performed with a pleasant voice and with near-perfect diction. His popular performances at carnival time led eventually to an invitation to sing at the Victory calypso tent in Port of Spain, the capital city of Trinidad. There Kitchener, still known as Aldwyn Roberts, performed in the company of formidable calypso stars including Atilla the Hun, Roaring Lion, and Growing Tiger, as the calypso singers called themselves. Over time his love of singing developed into a serious vocation. Following one particularly successful concert at the Victory tent in 1944, the 21-year-old Roberts adopted a calypso pseudonym, in the style of his contemporaries. He selected the name Lord Kitchener in tribute to Horatio Kitchener (1850-1916), a British hero from the Boer War, whose memory was revered by the population of Trinidad. By 1946, Kitchener's popularity was firmly established in Trinidad where through the lyrics of his songs he kept alive the memories of island life during the years of the Second World War. In 1945, following V-E Day in May and V-J Day in August, Kitchener took particular inspiration from the din of the celebratory street music created by young boys pounding on inverted steel containers. Although steelband music, as the phenomenon was called, was officially banned in Trinidad because of its disruptive nature, Kitchener glorified the young steelband musicians through his songs like "Yes, I Heard the Beat of a Steelband." Likewise he mimicked the sound of the steel drums with lyrics such as, "Jumbem bajubalam jumbem," and he immortalized a particular street musician named Zigilee, calling him the "leader of the ping-pong." On one occasion, following a lavish celebration among the Chinese population in Port of Spain in October of 1945 to celebrate the bombing of Hiroshima and the subsequent defeat of the Japanese forces, Kitchener wrote his "Lai Fook Lee" tune for the carnival of 1946. That song earned the distinction as the Road March of the carnival that year--the Road March being an honor designating the most popular song among the steelband musicians during the carnival season. Kitchener's songs earned such popularity among the steelband musicians that the winners of 19 out of 37 consecutive Panorama steelband competitions performed tunes by Kitchener. Thus he contributed to popularize the raucous steelband musical style and bring its performers to artistic legitimacy. Indeed the underground character of calypso music preceded the innovation of steeldrums, when calypso as a musical form originated as a belligerent practice during the era of slavery in the West Indies. The musical genre, although native to Trinidad, is founded in the African kaiso tradition and gained prominence among African slaves who were prohibited from speaking to each other while they toiled in the fields. In retaliation, the slaves devised a set of musical rhythms with spoken accompaniment whereby they expressed their sentiments to each other in song, thus communicating without violating the rules of their masters and escaping retribution. As a result the lyrics to Calypso music are characteristically nonsensical, intensely repetitive, and oftentimes political in nature. During the war years, many calypso singers fled the political climate of Trinidad, with some seeking refuge in England in search of artistic freedom and economic fortune. Kitchener in the late 1940s--having performed already in Aruba, Curaao, and Jamaica--immigrated to England. He secured passage on a ship called the Empire Windrush with others of his peers, including Atilla, Tiger, and Lion. The boat sailed into Tilbury, arriving in June of 1948, where upon its arrival Kitchener was filmed on a newsreel, dressed in the natty double-breasted suit and hat that became his trademark over the years. On that occasion he sang and strummed the guitar, performing one of his own tunes, called "England is the Place for Me." While in England he composed many songs depicting his life as an immigrant from the Caribbean living in England. Among the contemporaries of Lord Kitchener during his years in England was Egbert Moore (Lord Beginner). Together they recorded the first professional calypso tapes in history at the EMI Abbey Lane studio in London in 1950. The recording sessions between Kitchener and Moore continued for many years afterward, and the finished products were released on Melodisc. Additionally, Kitchener collaborated freely with others of his exiled colleagues, including Fitzroy Coleman, Rupert Nurse, Shake Keane, and Clarrie Weir. Kitchener's songs by far were intended for accompaniment by steelband music, and while abroad he continued to export his records home to Trinidad where his friends and followers comprised an eager and receptive audience, and the hum of his voice became a familiar sound on Trinidad radio. After some years, the demise of the Melodisc record label resulted in the unfortunate loss to history of the Kitchener master tapes, including the Kitchener classic "Underground Train" that was taped during the original recording session in 1950. Kitchener, unmistakable for his impeccable diction, experienced great popularity while in England. Through an association with an impresario, named Emile Chalet, Kitchener's performance venues evolved from small pubs around London where he regularly attracted substantial audiences, eventually to a club of his own in Manchester. The British audiences received him warmly, and in 1953 he married an Englishwoman, yet he never came to accept England as his home. Regardless, his following extended even to the British royal family, and he performed at the coronation of Her Royal Highness Queen Elizabeth II. The queen's sister, Princess Margaret, reportedly purchased 100 copies of his recording of "Ah, Bernice!" During his sojourn in England, Kitchener cherished fond thoughts of his homeland. Continually he sent his songs back to the people of Trinidad as a show of solidarity, and they never forgot him. Despite his soaring popularity in England, a phenomenon called rock and roll overtook Britain during the 1960s, and Kitchener opted to return to the West Indies to mingle once more with his fellow countrymen, the people he loved. Huge crowds and immense festivity accompanied his return to the Caribbean in 1962. His popularity had never waned during his absence, and he remained a hero over the course of the ensuing years. His carnival tunes repeatedly earned the distinction of Road March songs--including in 1954 while he lived in England. Eventually he earned the nickname of the Road March King. His "The Road Make to Walk on Carnival Day" won in 1963, and "Mama This Is Mas" won in 1964. "My Pussin'" won in 1965. Kitchener won again in 1967, 1968, and 1970 and then wrote both of the top two songs in 1971, winning the Road March title that year with "Mas In Madison Square Garden." Kitchener's 1975 Road March, "Tribute to (Winston) Spree Simon," told the tale of the nine-year-old youth who in 1939 devised a technique to make distinguishable notes on the pans used by steelbands. "Winston Spree" was Kitchener's final Road March. In 1976, he stepped aside voluntarily, simultaneously encouraging a new generation of younger musicians and composers to assume the position of honor that he held for so many years. He encouraged the musicians who touted a new dance rhythm, called soca, and brought newcomers into the Trinidad musical traditions and to the attention of the Trinidad audience and encouraged women to represent their viewpoints by creating original calypso works along with the men. Even as Kitchener shed the spotlight, he continued to compose. His songs remained extremely popular and he continued to win the annual Panorama prize, winning again in 1976 and three times during the 1980s: in 1982, 1984, and 1985. During the 1970s, Kitchener built an expansive home for himself in Diego Martin outside Port of Spain. He lived his later years on the estate, which he called Rain-O-Rama after one of his popular tunes. There Kitchener enjoyed a healthy lifestyle and simple pleasures along with his family. His greatest indulgence was in his enjoyment of racing, and he owned a stable of horses. He was known to his friends as Bing, and it was his personal philosophy to always look forward to the future, never looking back. He was in fact known to forget the words and melodies to his compositions virtually immediately after performing each tune for the first time. In 1994, he was honored with a postage stamp bearing his image. That same year marked the erection of a 7-foot statue of Kitchener by Pat Chu Foon. The work, called "Grandmaster of Calypso," stands at the entrance to St. James, outside Port of Spain. In 1997, Kitchener, still active, wrote "Guitar Pan," and in 2000 he wrote his final song, "Pan Birthday." Kitchener, who suffered from bone marrow cancer, died on February 11, 2000 in Trinidad, following kidney failure. On two occasions he was under consideration for a Trinity Cross of Trinidad & Tobago, and the issue had yet to be put to rest upon the occasion of his death. "The Underground Train," EMI, 1950. "Mama Look a Band Passing," Road March, 1954. "The Road Make to Walk on Carnival Day," Road March, 1963. "Mama This Is Mas," Road March, 1964. "My Pussin'," Road March, 1965. "Mas in Madison Square Garden," Road March, 1971. "Tribute to (Winston) Spree Simon," Road March, 1975. - '67 Kitch , RCA, 1967. -Kitchener Goes Soca , Charlie's, 1981. -Roots of Soca , Charlie's, 1984. -Master At Work , Kalico, 1985. -Honey in the Kitchen , Wads Music, 1992. -Still Escalating , JW Prod, 1994. View the full website biography of Lord Kitchener.